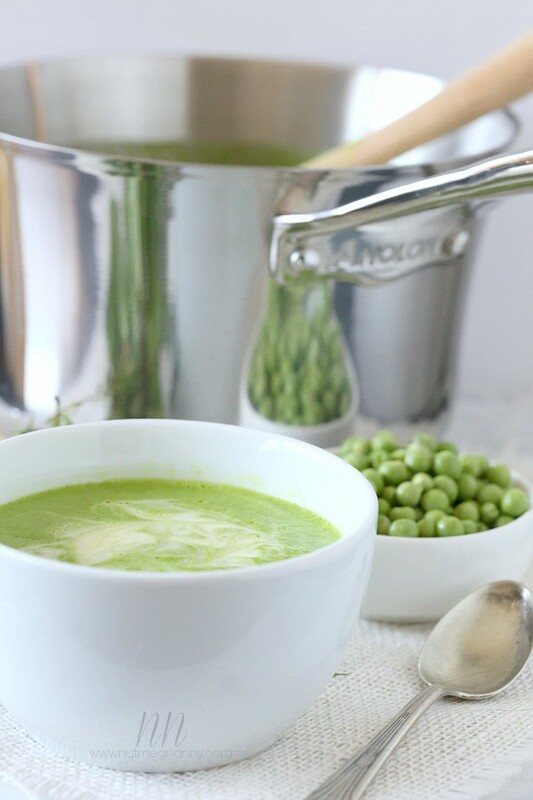 This fresh spring pea soup is filled with fresh spring flavors such as mint, thyme and leeks. It can simply be prepared in under 30 minutes and is perfect on it’s own or served with a slice of crusty bread and a dollop of crème fraiche. When I made this soup it immediately made me happy. It’s bright, light in flavor and perfect for spring. At first I was afraid that my pea soup would turn out not as beautiful in color as I had hoped but luckily (as you can see) it came out the most beautiful shade of green. I threw together this soup because Anolon asked me to come up with a recipe that would help get people in the kitchen. They want to inspire people to get in the kitchen and let their kitchen creativity take over. I think a simple soup like this is the perfect inspiration to get into the kitchen. Especially when you see how easy it is to throw together! The soup is great served by it’s self but I really felt like it really shines with just a dollop of crème fraiche on top. Plus you can play around with the soup and really make it your own. Not a fan of leeks? It’s totally cool, use onions instead. Not sure if you will like the mint? Well, I do ask that you give that a try since it brings a lovely light flavor. Trust me! 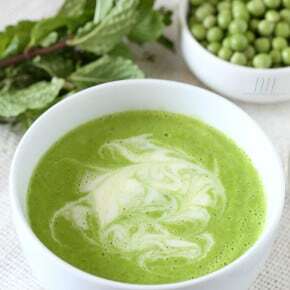 This fresh spring pea soup is filled with fresh spring flavors such as mint, thyme and leeks. Plus it can simply be prepared in under 30 minutes. In a large skillet set over medium heat add unsalted butter. Once the butter is melted add leeks and sauté until soft, about 8 minutes. Add in minced garlic, thyme leaves, salt and pepper. Sauté for another minute or until the garlic is fragrant. Increase the heat to high and pour in chicken or vegetable stock. Bring to a slight boil and stir in frozen peas. Let the peas cook for 2 minutes, stir in mint leaves and remove pan from the heat. Add half the pea mixture to the container of a high-powered blender. Blend until smooth and pour into 3.5-quart saucepan. Puree remaining pea mixture following the same directions. Warm pea soup over medium low heat until hot. Enjoy plain or with a dollop of crème fraiche. 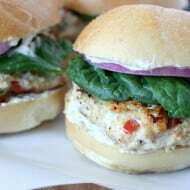 You can also check out the recipe on Anolon’s site. Disclosure: I was compensated monetarily by Anolon to create this recipe. All opinions are 100% my own. I ADORE pea soup! Especially when it has pretty swirlies in it! Pretty food makes my eyes happy! Totally pinning this and then checking out the recipe! Love analon! This soup looks so fresh and light, love the little swirl on top from the crème fraiche. Pinned! This is so great, I can’t wait to try! My husband was just asking me to make this the other day! Now I have a great recipe. Thanks! I have never had pea soup but this looks delish! Ooooh this looks wonderful! So fresh and perfect for spring, love it! It should be illegal how beautiful this soup is. Girlfriend – this soup LOOKS AMAZING! Looking at this makes me happy too 🙂 I love the color! Off the check out the recipe! This looks so comforting – and the photos are fantastic. I need to check out the Anolon site for the recipe!! This looks phenomenal! I love the beautiful green color. I’ve seen this photo floating around FB and I’m so impressed with the deep green color. It is so pretty, I’m not sure I’d want to eat it! This is so yummy! It looks perfect for spring, and I love how healthy it is!!! WOW, I think this is the prettiest sweet pea soup I have ever seen!! 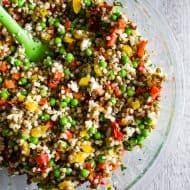 Looks delish, would love a bowl for lunch today! Obviously you worried in vain about the color—-it’s gorgeous. I think it would even entice non pea likin’ forks to at least taste it. And after that they would be hooked. I imagine a lot of us were traumatized by having to eat canned peas when we were younger. Yuk1 They certainly give peas a bad name. We are having a spring stormy Winnie the Pooh day today, this soup would certainly be the ‘honey pot’ recipe to serve. This is the prettiest pea soup I’ve ever seen. It’s so gorgeous. 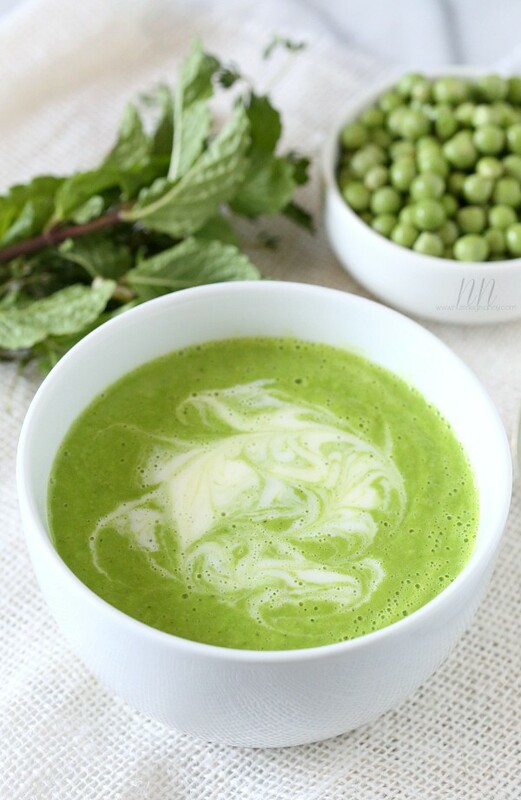 Between the leeks and the peas this is such a great spring soup and the color of course too! Gorgeous! Yes, it did come out a perfect shade of green. It’s beautiful. And, since I am a HUGE fan of leeks, I’ll take my bowl just like the one in the photo please! very few people understand my obsession with fresh peas, but they’re one of my favorite foods ever. beautiful soup! 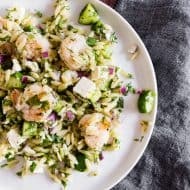 That pretty spring green would definitely get me into the kitchen! Very little beats fresh peas in the spring. What a lovely soup! This was great! It was a little thick so I added about a cup of milk at the end. The only other change I made was to add a little basil because my basil plants are out of control! Couldn’t be easier and was very delicious.